Scalable Multiscreen Video Delivery with Broadpeak! Broadpeak designs and manufactures video delivery components for Content Providers and Network Service Providers deploying IPTV, Cable, OTT, Satellite and Mobile services. Its portfolio of solutions and technologies powers the delivery of movies, television programming and other video content over managed networks and the internet for viewing on any type of device. The company’s systems and services help operators increase market share and improve subscriber loyalty with superior quality of experience. Broadpeak supports all of its customers worldwide, from simple installations to large delivery systems reaching capacities of several million of simultaneous streams. - cloudPVR solution: for shared copy and private copy scenarios. Using Cloud PVR, operators can deliver a broad range of services (start-over, time-shift, catch-up TV, impulsive recording) while only storing content once. RENNES, France — Oct. 18, 2018 — Broadpeak®, a leading provider of content delivery network (CDN) and video streaming solutions for content providers and pay-TV operators worldwide, and Inca Networks, the leader of Intelligent Video Delivery providing carrier-grade video delivery solutions with a world-class user experience, today announced that they have partnered to provide Minnesota-based Internet Service Provider (ISP) Hiawatha Broadband Communications (HBC) with a reliable and scalable IP video delivery solution. The subscriber management and User Experience are powered by Espial’s Elevate Cloud IPTV platform which is a TV-as-a-Service solution that enables HBC to offer IPTV and App-based TV services to their customers. AMT served as the reseller on the project, ensuring a quick and seamless deployment. 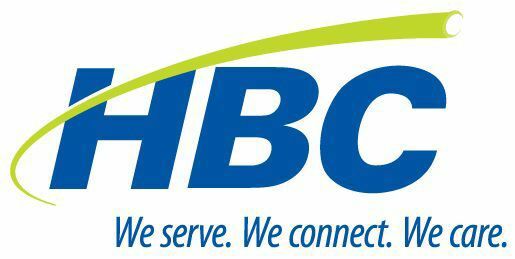 HBC is using Broadpeak’sBkS350 Origin and Packager to ingest live video channels sent by the Inca Adaptive Bitrate Transcoder 3840. The 3840 was developed with reliability and resilience in mind. It uses Inca’s globally-deployed hardware transcoding engine, validated against thousands of broadcast streams worldwide, to transcode MPEG-2 or MPEG-4 AVC video sources into frame-aligned, multi-bitrate outputs in MPEG-4 AVC using less than 200 W in a 1 RU power efficient chassis. Video operators experience seamless and rapid deployment when configuring Inca products thanks to VidiOSTM, an award-winning and sophisticated web-based user interface with extensive management and monitoring tools. Mick McCluskey, VP Product Management at Espial said that “Elevate is a flexible and open platform that was easily integrated to Hiawatha’s media processing components provided by Broadpeak and Inca for rapid deployment of IP based services”. Elevate will be exhibiting at the SCTE Cable-Tec Expo in Atlanta, Oct 22-25, in Booth 2713. Meet the Espial Elevate team at SCTE or visit www.espial.com/elevate to learn more information about Elevate. Inca Networks will be exhibiting at the SCTE Cable-Tec Expo in Atlanta, Oct 22-25, in Booth 2034. Meet the Inca team at SCTE or visit www.incanetworks.com, to learn more information about Inca’s carrier-grade transcoders, encoders and video delivery solutions, including 8VSB receivers. Broadpeak will demonstrate its IP video delivery solutions and more at SCTE Cable-Tec Expo, Oct. 22-25 in Atlanta at booth 2030. Today’s cable and telco operators are delivering a massive amount of live TV and VOD to all screens. To be competitive, they need content delivery network (CDN) solutions that ensure an exceptional quality of experience for viewers with zero latency and maximum scalability. At SCTE Cable-Tec Expo 2018, Broadpeak® will demonstrate how its CDN solutions help operators become a smart AV pipe to the home and make a seamless transition to all-IP video delivery. Key highlights will include cloud PVR, multicast ABR, and origin server and packaging solutions. As the first provider of ABR multicast technology, Broadpeak is transforming live multiscreen video delivery. At the SCTE Cable-Tec Expo, the company will demonstrate its nanoCDNTMmulticast ABR solution, which makes live HTTP video delivery to any device truly scalable by turning millions of broadband gateways, cable modems, Wi-Fi routers, and STBs into active components of an operator’s content delivery infrastructure. Leveraging home networks, operators can cost-effectively manage the consumption peaks of live multiscreen services for millions of simultaneous viewers using only a few megabits per second from their network. nanoCDN has been successfully deployed by leading operators worldwide for live television delivery to any screen. Several use cases for nanoCDN will be showcased, including low latency for live video streaming. Broadpeak’s Cloud PVR solution is used by some of the largest pay-TV operators globally. Providing operators with a simple, scalable and flexible solution for delivering time-shifted TVservices, Broadpeak’s solution allows subscribers to launch multiple recordings on various channels simultaneously without any constraint on the available bandwidth or the number of tuners on the reception device. With Cloud PVR, service providers can deliver start-over and catch-up TV, as well as impulsive recording, using a shared copy or private copy model. The recorded content can be processed on the fly to be viewed on any device type. Broadpeak’s BkS350 Origin Server and Packager improves multiscreen video delivery on managed or open internet networks through unique on-the-ﬂy packaging and cache management capabilities. At SCTE Cable-Tec Expo, Broadpeak will showcase its BkS350 Origin Server and Packager, which supports all streaming formats and a wide range of applications, including live, VOD, cloud time-shifting, start-over, and catch-up TV. The BkS350 platform can be run on hardware or virtual machine, providing operators with maximum deployment flexibility. By providing an easy migration path from QAM to IP distribution, the BkS350 increases video delivery efficiencies and cost savings. RENNES, France — Oct. 9, 2018 — Broadpeak®, a leading provider of content delivery network (CDN) and video streaming solutions for content providers and pay-TV operators worldwide, today announced that Ultravision, a leading pay-TV operator in Mexico, has selected Broadpeak solutions to power its new IPTV multiscreen service. Ultravision will rely on Broadpeak’s BkM100 video delivery manager, BkS400 HTTP video cache servers, and BkS350 origin packager. By monitoring live and on-demand content, and then caching popular content based on usage patterns, Broadpeak solutions will reduce Ultravision’s content delivery costs while providing a high quality of experience (QoE) to subscribers on every screen. Broadpeak’s BkS350 origin and packaging server includes on-the-fly packaging capabilities that will reduce Ultravision’s processing and storage costs. With the BkS350, live content will only be recorded once and delivered to a broad range of devices — including smartphones, tablets, set-top boxes, and games consoles — in the requested ABR format. Using Broadpeak’s BkS400 HTTP video cache servers and BkM100 video delivery manager, Ultravision can cache content at the headend level and reduce load at the origin server.